Funded by the U.S. Department of Energy’s Advanced Manufacturing Office, we are a team of professional staff and trained engineering students that conduct free assessments for mid-sized manufacturers to help them stay competitive through the reduction of costs. The assessments include energy efficiency and productivity improvements, waste minimization, pollution prevention, and cyber-security recommendations. 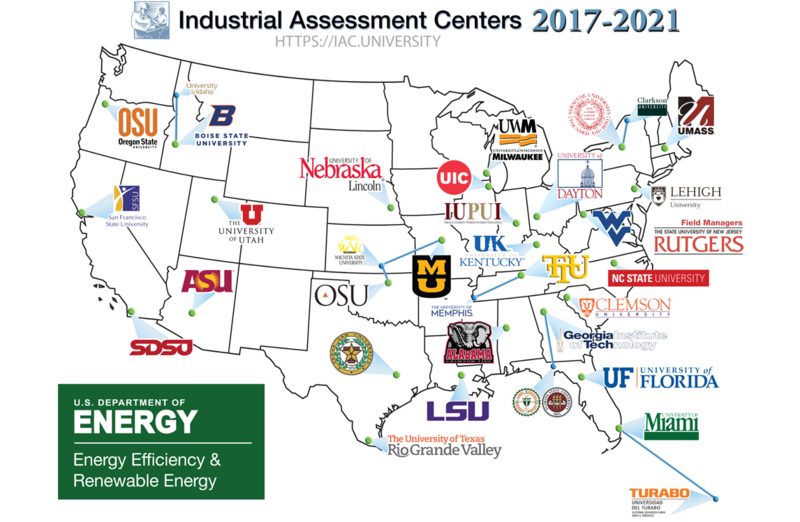 IAC’s across the United States have trained over 3500 engineering students and have performed over 17,000 assessments with more than 133,000 associated recommendations. The average recommended yearly savings is $136,086.